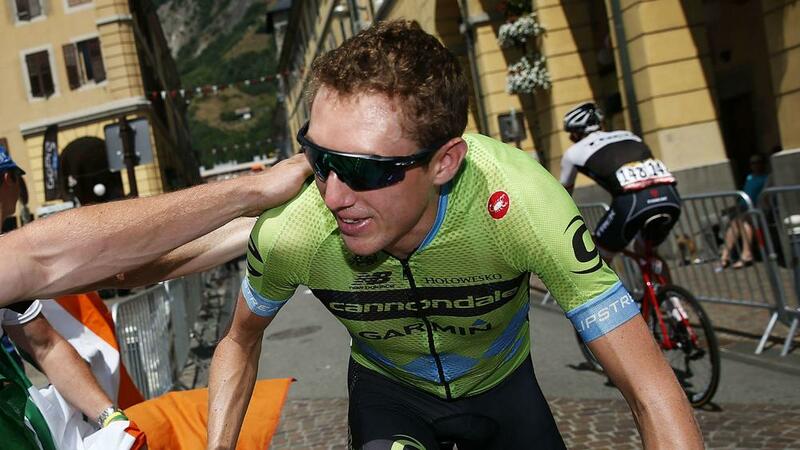 Cannondale-Garmin's Dan Martin has slammed the lack of respect and caution shown by his fellow riders following a series of serious incidents in the Vuelta a Espana. Martin was one of four to crash out of Saturday's eighth stage, along with Tejay van Garderen, Nacer Bouhanni and Kris Boeckmans, who is now in an induced coma. And the British rider has attributed the blame for an increase in accidents to the approach of his competitors. "Hoping @lavuelta peloton stays safe today. Crashing hurts and we all have people at home #giveaninch #itsonlyabikerace. "To be more clear, I'm not saying we should ride round in procession. But there's certain etiquette that should be followed." Meanwhile, it has been confirmed that BMC-Switzerland rider Van Garderen suffered a broken shoulder when he went down in a large pile-up with 50 kilometres to go.